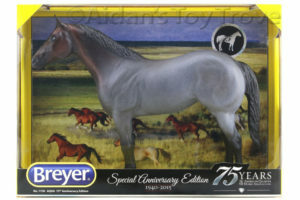 I have a number of Breyer 1730 75th Special Anniversary Edition Quarter Horses. 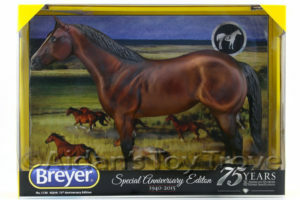 Last December, I took a gamble on the Breyer Collector’s Club Appreciation Special and was lucky enough to get TWO glossy grullas (both of which have new homes). Over the weekend, I did an inventory of the colors that I still have in hand which consists of a variety of matte finish; Bay Roans, Bays, Chestnuts and a single Grulla. I did not receive any palomino or black Quarter Horses, shucks! While inventorying, I noticed something interesting. All but one of my bays lacks eyewhites. The one with them has neatly painted eyewhites which I think look quite nice. I poured over eBay pictures to see if the majority of the bays had eyewhites. 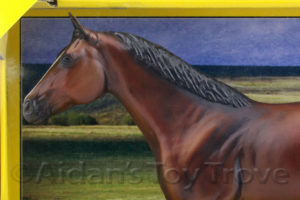 I had trouble making out the eye detail with a number of the pictures, darn you box glare, how I hate thee! But from what I could see, it seems the majority of the bays on eBay lacked eyewhites. 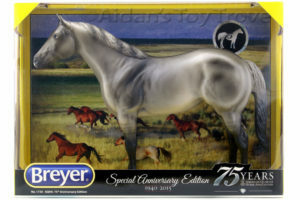 The bay in Breyer’s stock photo also does not have eyewhites. I found this curious as the chestnut, bay roan and grulla have eyewhites. 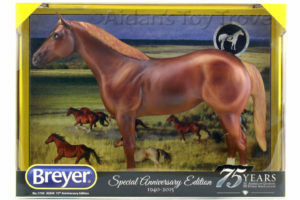 I’m sure some of you have Breyer 1730 Anniversary Quarter Horse. What color(s) do you have and do they have eyewhites? I’m curious to know if the other colors also had variation eyewhites or rather lack there of. 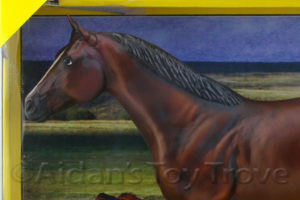 And just for fun, here is a picture of one of my beautiful glossy grullas that is currently en route to his new home. 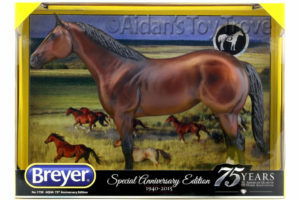 « Breyer Premier Club Blind Bags 2016 Are Here!